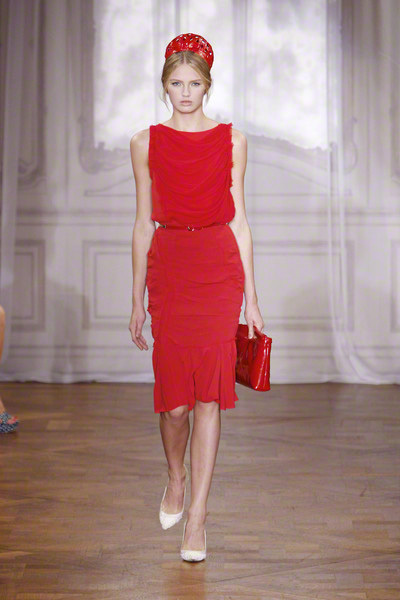 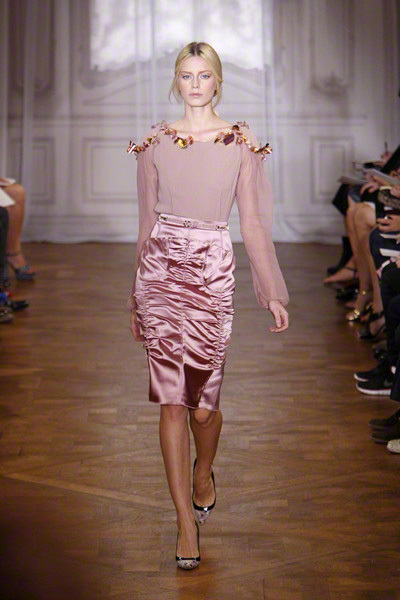 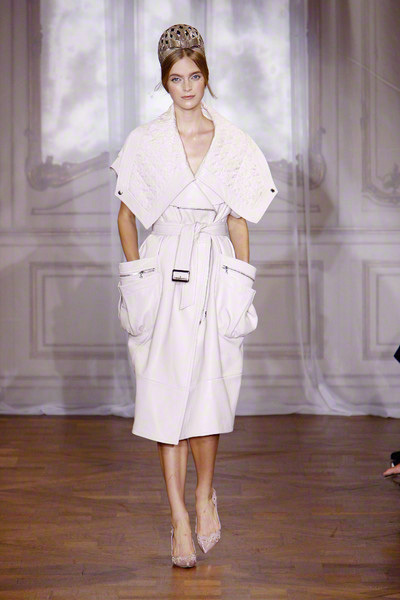 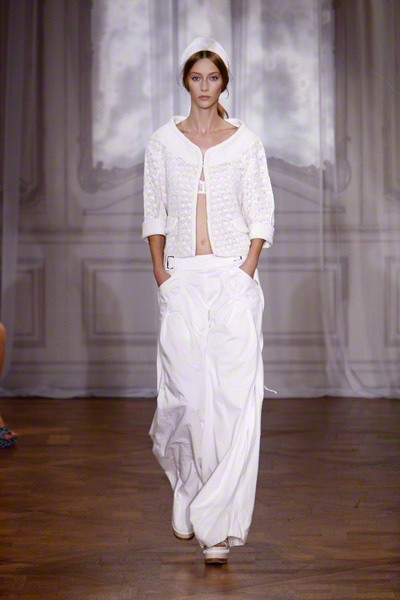 Peter Copping presented and very chic and very French collection at Nina Ricci. 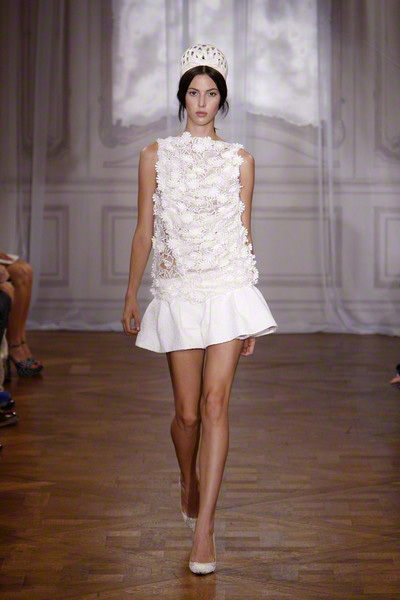 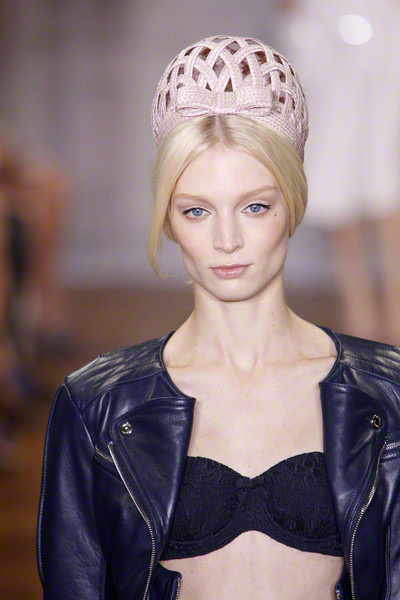 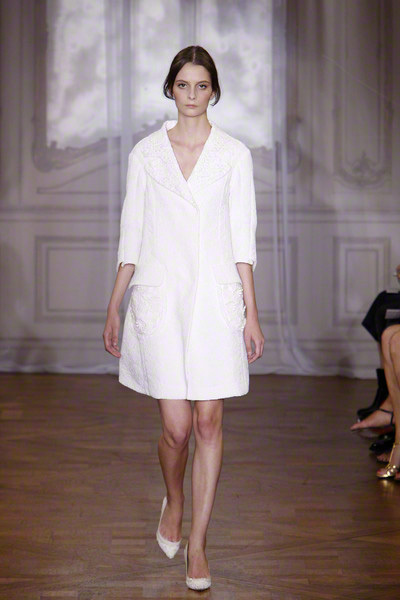 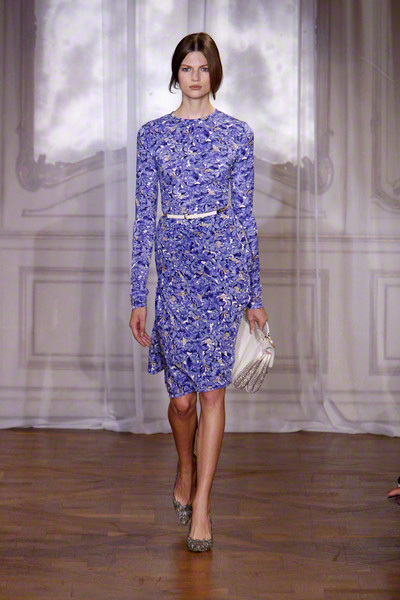 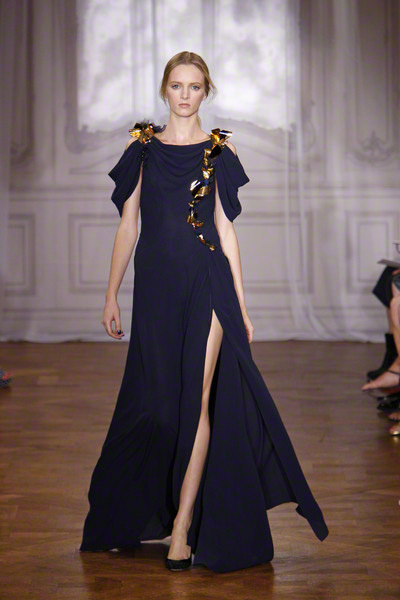 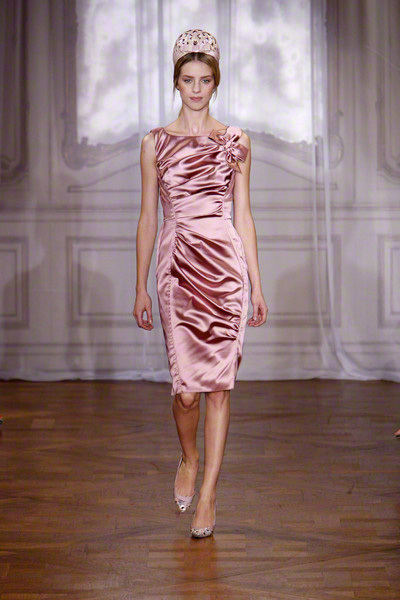 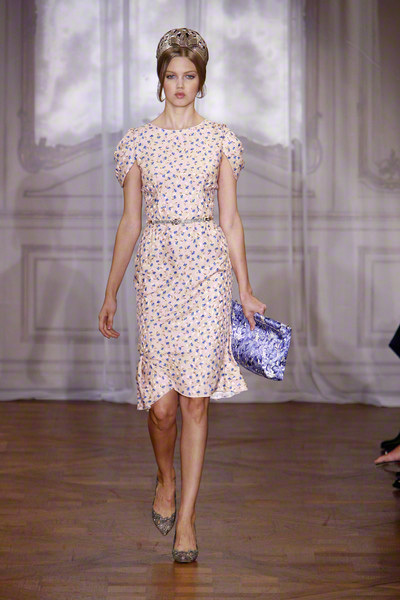 But is was also charming and flirting with that typical Sixties haute couture vibe. 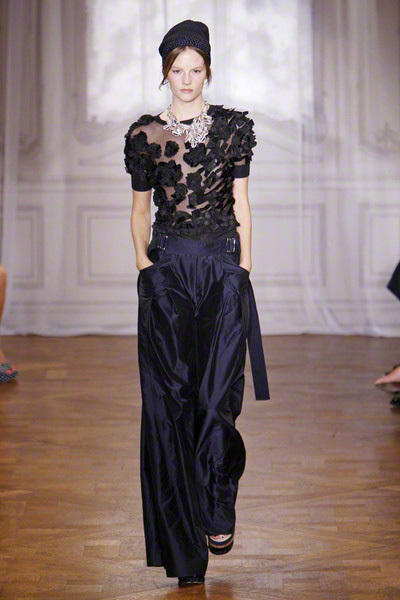 The silhouette was curvy, the clothes bejeweled and the straw cage hats added an elegant touch. 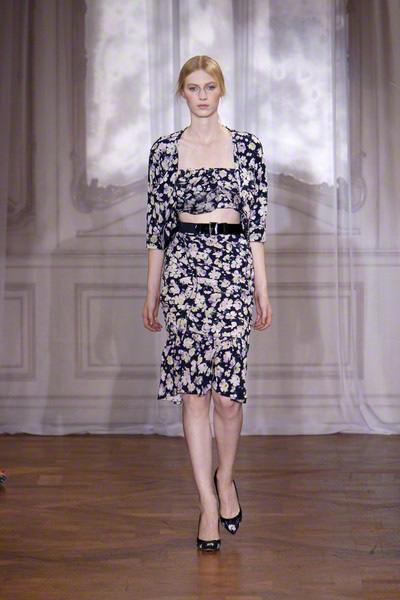 Starting with constructed lingerie, Copping showed suited looks and dresses, both with full skirts and an hourglass silhouette, in laces, cloqués and printed jacquards. 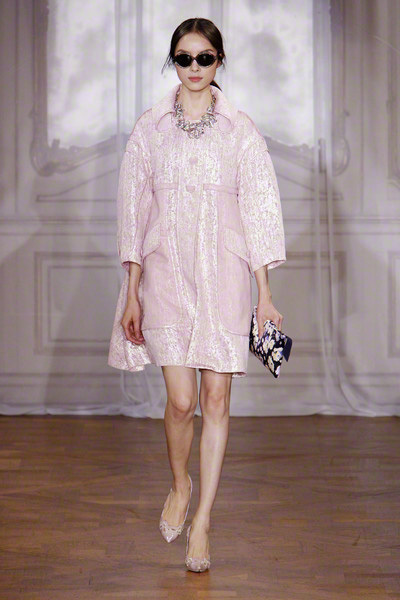 He embellished with delicate patchworks and encrustations of high-sparkle embroideries. 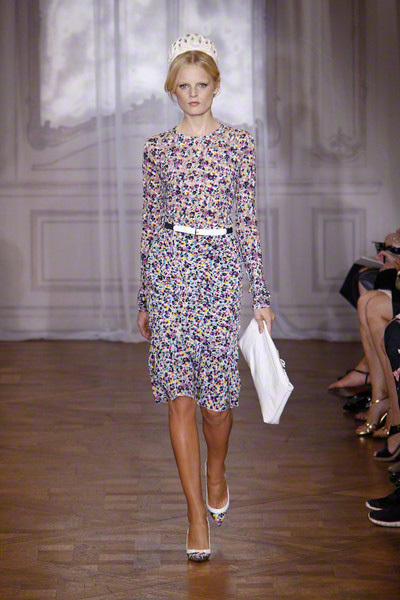 The prints were definitely retro, since the came from the archive of Zina de Plagny, who’d done a lot of work for the house founder.